Here is Isabelle with her Cap & Gown on for Kindergarten Graduation. The Cap & Gown were only for the photograph though. 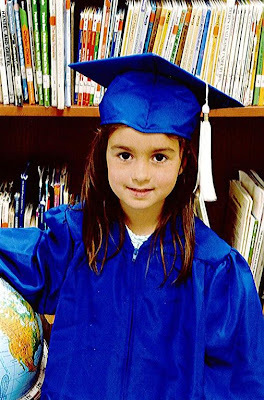 During her graduation ceremony the class wore shirts that read, "I Survived Kindergarten!" Isabelle is glad that she is now a 1st grader.